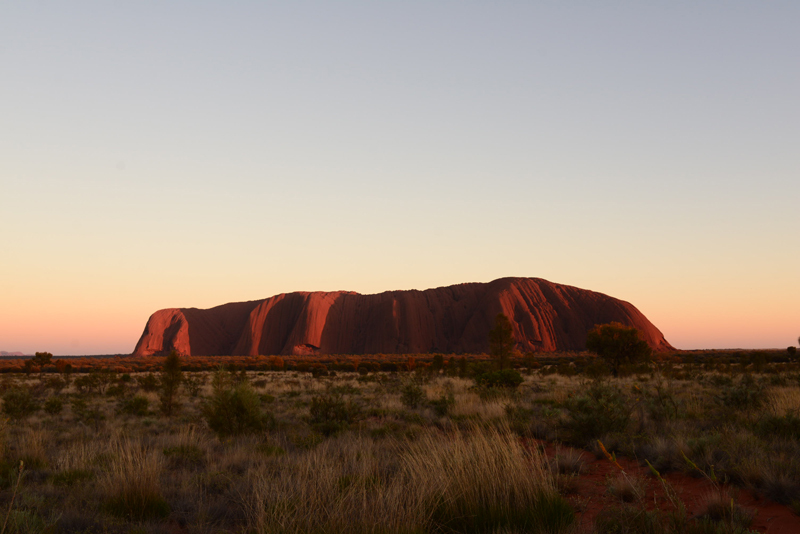 Uluru - the immense monolith that is undisputedly one of Australia's iconic landmarks. Listed on many bucket lists, Uluru is also a UNESCO world heritage listed site recognised for it's cultural and natural value. This makes Uluru a magnet for tourists. 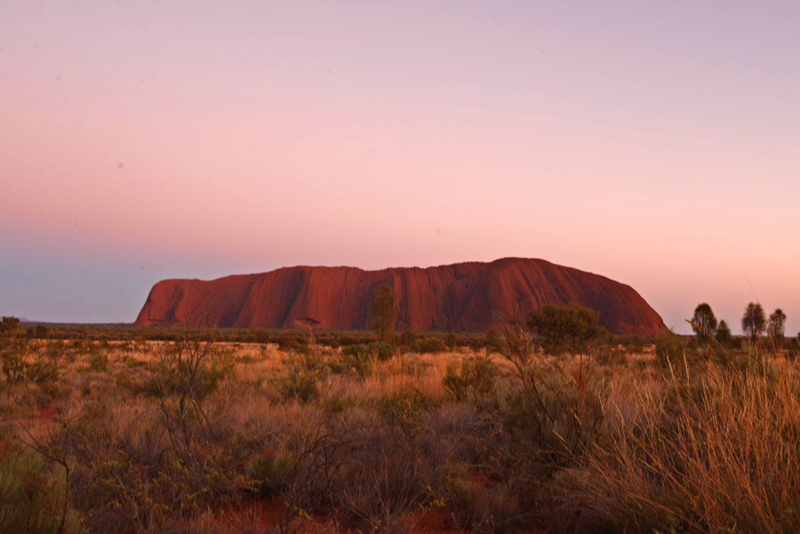 In fact, busloads of tourists visit Uluru daily at sunrise and at sunset. We had the opportunity to visit at sunrise and at sunset and this series of photos have been arranged in chronological order beginning at the break of dawn. To many of us, Uluru may just be a spectacular geological formation, but to the Anangu aboriginal people who own the land, it is a sacred site. 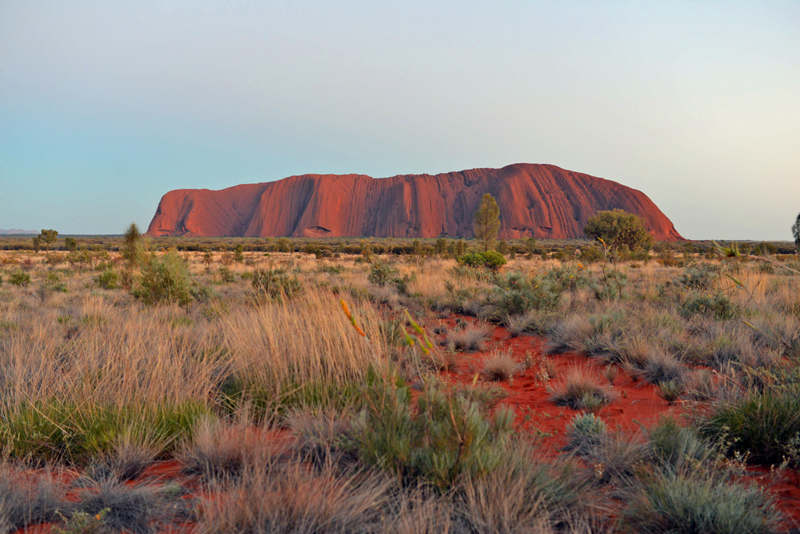 One that holds creation stories as well as the location where significant events in the Anangu story took place. Hence, there are specific sites that are off limits to tourists and where photography is prohibited. The reason for this is because they want to protect the aboriginal youth from seeing some of these sites before they are meant to. Fortunately for us, we had our guide, Alex to advise us. So with our guide, Alex's help, we were able to take lots of shots of Uluru. Out of curiosity, I asked the Alex how many shots of Uluru did she think a visitor would typically take? Her answer was not 5 or even 10 but possibly hundreds. I don't think she was far off. You don't want to know how many photos I had to sift through while selecting photos for this post. Also, while we were there, we noticed people climbing Uluru. This was despite the fact that it is common knowledge that the Aboriginal owners prefer visitors not to climb it. Firstly, it is because the path of climb is actually holds spiritual significance for them. Secondly, out of a duty to protect visitors, they would rather guests respect their culture by not climbing. But there is a third reason that few know about and that is that you may be wishing bad luck on yourself if you don't respect the Uluru laws. In the past, visitors have taken rocks home only to return them shortly after with apology notes. So for your own sake, do abide by their wishes and respect the law of the land if you visit. On our trip, we visited Uluru at sunset and enjoyed sparkly wine and crusty white bread dipped in olive oil as the sun bade farewell for the day as is tradition. Early the next morning, we rose early, wrapped ourselves up in warm clothing and headed back out to catch Uluru as the sun rose (which was when I took the earlier shots in this post). I am really glad we got out of bed for that. The sunrise photos have to be my favourite of the lot. Do you have a favourite?